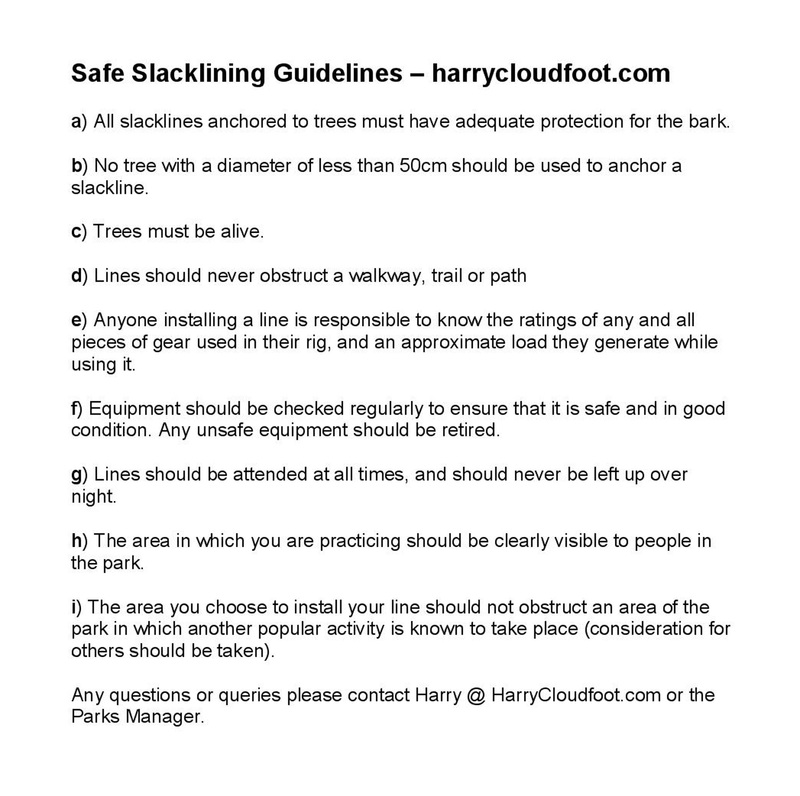 Here is the “Slacklining Guidelines” leaflet that slackliners all over the UK are using and following to ensure safe slacklining in public parks. These are also used by our friends internationally, too! Print yourself some copies – on the off-chance any authority questions what you are doing, politely explain and show them the guidelines. Here in London we are working with numerous councils using this leaflet with great success!